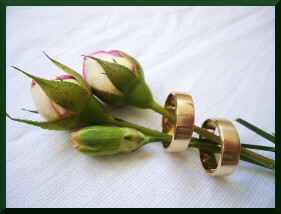 A Swedish woman’s wedding band disappeared in 1995 after she had taken it off while doing her Christmas baking. Sixteen years later, gathering vegetables from her garden, she found the ring encircling a carrot. The family surmises that the ring had been discarded with vegetable peelings that were either turned into compost or fed to their sheep. Keep It Out of the Landfill, indeed! On Saturday, December 7, the non-profit agency Suit Yourself is collecting gently worn professional clothing, shoes, and accessories to be furnished to women in transition who are seeking employment. When you bring donations to the Suit Yourself store, volunteers accept your items and sign your donation form. Afterward, the volunteers examine and inventory the items and hang them or otherwise add them to the store’s displays. If an item isn’t considered suitable for client needs (too dressy, like evening wear, or too casual, like T-shirts or jeans), Suit Yourself attempts to sell it through a consignment shop, or donates it to Goodwill, Salvation Army, or a similar nonprofit. When a social service agency refers a client to Suit Yourself, the client comes to the store, by appointment, and meets with two Suit Yourself volunteers. The store, which is open only to clients referred to Suit Yourself by its social service agency partners, is set up like a consignment shop/boutique, with merchandise on display and on racks for easy selection. With the volunteers’ help and advice, the client selects two or three outfits suitable for job interviews or as workplace attire. The outfits may include suits, slacks, skirts, blouses, dresses, coats, shoes, jewelry, purses, scarves, hosiery, etc. — whatever the client needs to look and feel appropriately dressed. The volunteers record the items chosen by the client, wrap them up, have the client sign off on her selections, present her with a small gift bag, and help the client load her new wardrobe into her car. Once a client accepts a job, she is welcome to return to Suit Yourself for additional clothing to fill out her workplace wardrobe. Go through your closets, bureau drawers, shoe racks, purses, belts, scarves, jewelry boxes. Pick out the things that you never wear, that don’t fit, that just aren’t right for you — items that another woman will be able to wear and feel proud of. If the items have been worn, launder them or have them dry-cleaned, and put them on hangers. Do you travel? Consider donating your unopened hotel toiletries for our client gift bags. Take your donations and the form to the Suit Yourself store (map) between 10 a.m. and noon on any clothing collection day. When you donate an item to Suit Yourself, it will be used to help suit a client, or, if it’s not suitable for that use, it will be sold through a consignment shop (proceeds of consignment shop sales are used to purchase non-donated items such as hosiery). If it can’t be sold, Suit Yourself donates it to a non-profit like Salvation Army or Goodwill. Financial donations, which of course are welcome at any time and are used to purchase non-donated items such as hosiery, may be mailed to Suit Yourself, 47 West Walnut Avenue, Painesville, Ohio 44077. 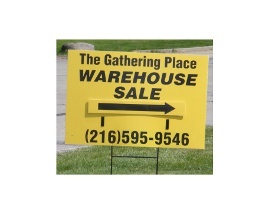 Fine furniture, classic holiday ornaments, china, home accessories, jewelry — you’ll find distinctive, gently used treasures from some of the area’s most gracious homes at The Gathering Place Warehouse, 4911 Commerce Parkway in Warrensville Heights (map). Shop recycled at The Gathering Place Warehouse Home Furnishings Sale: save money, take home beautiful things, and keep fine home furnishings from going to waste.